Discussion in 'General Harley Davidson Topic' started by FXDL4ME, Jan 26, 2019. I have a 2007 Street Glide, black (of course, LOL). It's in excellent condition, low miles, about $1500 in extras, but I'm gonna be 68 years old in June, and it's getting heavy for me. Needs a rear tire. Local "indy" has a 2009 Super Glide Custom in mint condition, totally stock, and it only has 2800 miles on it. He will trade me even up for my Street Glide, and give me a two year warranty on the Super Glide. No money involved, just a straight swap. What do you guys think? How many miles on your street glide? I would think your bike is worth about 9,000 and the Super glide about 5,000.....I would try to get some cash if you can. 13,000 miles on my bike. I bought it used last year. I put 4,000 on it. Guy before never rode it, I guess. Wow...13,000 miles?...That is very low miles. 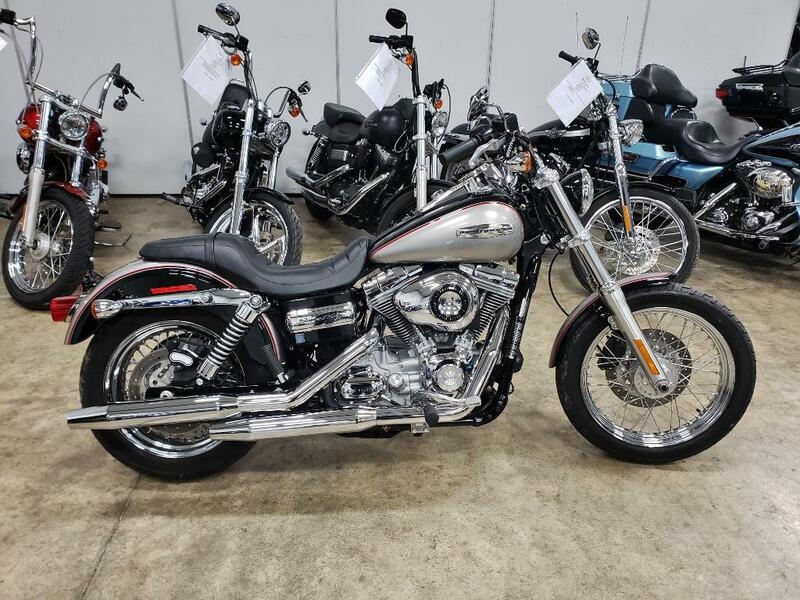 Your bike in excellent condition would be more like $10,500 - $11,500...….sell your bike for $10,500 and buy the Super Glide for 5 - $6,000. Your bike is worth Way more than that Super Glide. Yea.....I thought so too......just wanted to save myself the hassle of selling mine. The more I think about it, the more I realize it's not a good deal. Anytime a dealer is willing to trade you even up, it means he's getting the better deal. I'm just gonna hang on to my Street Glide. That is a (sharp) nice looking Bike. That's $3375.00 difference...….show that to the dealer. Are they asking $7000 for the super glide? If so tell them you want some cash. My bike has 13,000 miles on it, only needs a rear tire, put a new front on last fall.They want $7995 for the Super Glide. Tell them to give you 2 grand...they will probably get 12,000 for yours..with the extras on it and very low miles. A lot of riders love the black street glides...it won’t sit long at a dealership. NCBILL and FXDL4ME like this.